My first walk of the month that was October would see me return to Lansdown, an area that lies to the north-west of Bath. It was probably more than three-years since I last did this exact walk and, back then, I was leading a group of more than a dozen people. This is probably one of the first routes I followed from the Walk West series of eBooks and it’s a walk that I’d been meaning to return to for some time. A vision of road walking had stuck in my mind, along with ambition, I guess, to walk in a wide variety of places; near and far from home. 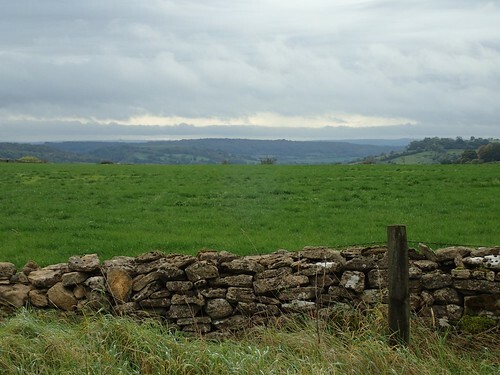 This entry was posted in Cotswold Hills, Somerset and tagged BaNES, Battle of Lansdowne, Cotswold Way, eBook, Freezing Hill, geoff mullett, golf course, hanging hill, hiking, Lansdown, public footpath, public right of way, Sir Bevil Grenville's Monument, trig point, Walk West, walking guide, walking route on 12/12/2017 by Olly Parry-Jones.